The Phrygian dominant (Middle Eastern) scale IIIa. The Middle Eastern Phrygian scale is thoroughly described in the Dominant (Middle Eastern) Phrygian scale I. section. This section comprises all possible the Middle Eastern Phrygian scale degrees in the twelve-tone equal temperament; it means as many as 84 scales - 12 tones (each of them a scale root note) and 7 notes of each scale. On top of that, we have one-string scales; these will obviously not count in the total number of scales. 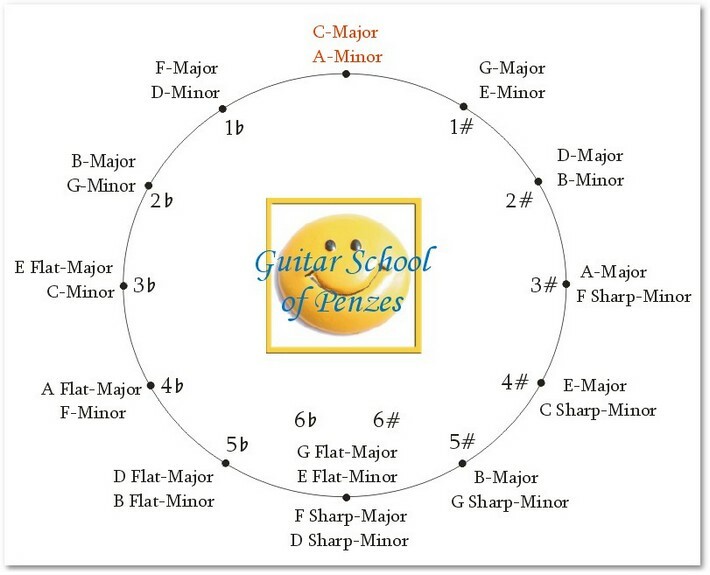 ..except for the bottom of the circle, where the sharp keys and the flat keys overlap; here I go for the D sharp minor of 6 sharps. www.music-instrument-guitar.com - Phrygian dominant (eastern) scales IIIa.